From I think I can to God and I can! Not all our adversaries are external, remember reading or hearing this? “We have met the enemy and the enemy is us.” I remember as a youngster reading the story of “The Little Blue Engine” ever read it? In case you haven’t it’s a story about a small train with a load of toys from children on the opposite side of the mountain. None of the larger trains thought children were important enough to take the toys to them so the Little Blue Engine volunteered. 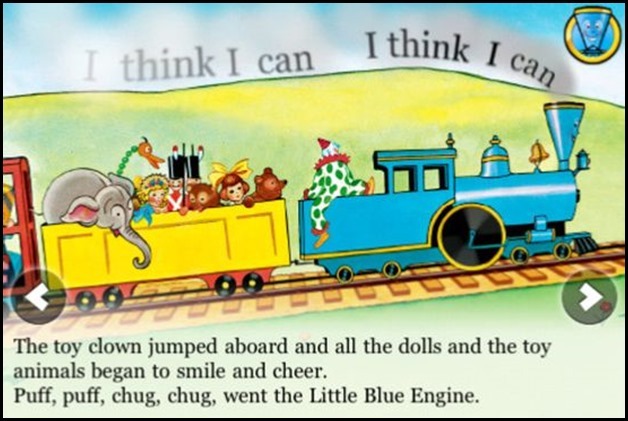 As he began climbing the mountain it got steeper and steeper and more difficult but the Little Blue Engine did not stop and began saying, “I think I can! I think I can! I think I can! I think I can! And suddenly it was going downhill to deliver the toys. The most positive words you can say is, “God and I can! God and I can! God and I can! God and I can! GOT IT? Good, now DO IT!